Ideal for carrying employee belongings through security exits to reduce company theft. 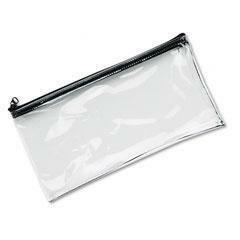 Has 101 more uses including bank deposit bag, a pouch for business documents, plus transporting and organizing checks. Zipper closure keeps contents securely inside pouch.